Travelling God of the Troupe. Grimm, that marvelous showman, Lord of the Troupe. Why is he so far down the list? Should he be BEFORE the Godmaster-exclusive stuff? Freakin' weird ordering. Anyway, Grimm's not so bad. He teleports around a lot, but once you get used to his attack patterns, you'll be able to take him down no problem. And, interestingly, he's one of the few bosses (alongside Hornet) that is aware of being summoned into Godhome. Rising Action: Grimm will teleport near you, take a slash across the ground, then do an uppercut that explodes into five flame projectiles. Jump and slash, you can hit him twice! Stay close to him for the flames- they don't hit right near where he vanishes. 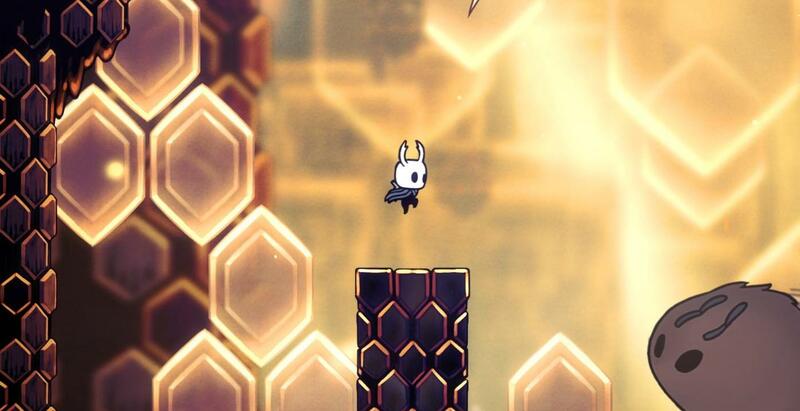 Heads On Stage: Grimm teleports above you, dives diagonally downward, then dashes toward you across the ground. Jump and pogo! Pyroflash Props: Grimm teleports away from you and fires off three fiery bats. 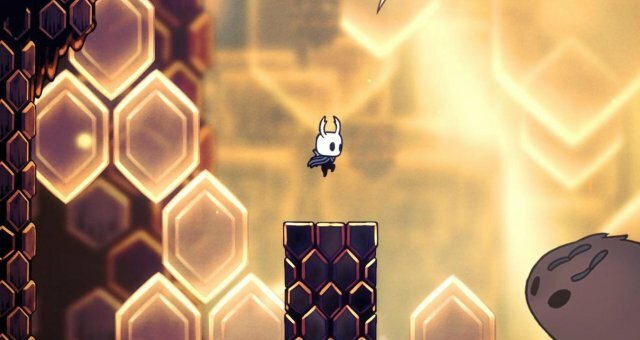 Jump over them and dash towards Grimm! If you dash too early, he'll dart away and fire one bat before continuing. Foil Ensemble: Grimm teleports some distance away from you, and his cloak stretches into the ground, creating a series of wicked spikes along the ground a second later. A good time to focus, or sneak a Spirit attack in. Maroon Monologue: At 3/4, 2/4 and 1/4 health, Grimm will teleport to centerstage to launch a series of fireballs everywhere. Stick around the wings and jump/Shadow Dash through any of them coming at you on ground level. Grimm will also use this if you stab him during his introductory bow, but you can also Dream Nail him for some free Soul with no consequences. Grimm is immune to melee attacks during this (not that that would be a good idea), but not to spells. Fire some Spirit attacks if you've got the room! Fluff Beat: After about 14 hits, Grimm will explode into a swarm of Grimmkin. You can focus 3 times before he reforms, or use the opportunity to nail the big one with glowy eyes to do extra damage. The Shriek works well! Strategy: This fight is all about reacting to what Grimm is doing. Watch where he appears and how he's posed, and work from there. If you're quick, you can sneak in two attacks with your nail- presuming you have Quick Slash- no matter what he's trying to do. Don't panic, and don't try to focus just because he's offscreen for a moment. Just be observant and careful, and you'll do fine. Also, if you're extremely cheeky, you can sneak in a hit after he stops bowing, and RIGHT before he teleports away, with no consequences. GREAT SLASH!